Central Florida Community Arts Theater Department is thrilled to bring The Sound of Music to life in our smaller venue. This is a musical that is timeless and one that never dulls. Bring the entire family to experience this classic piece of Musical Theatre again and again! 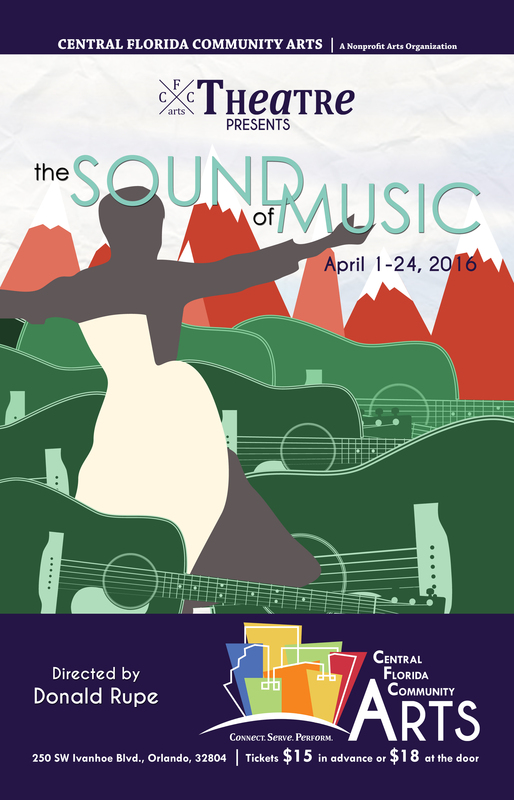 The Sound of Music will be held at CFCArts’ Central Campus, which is housed on the grounds of Central Christian Church, 250 SW Ivanhoe Blvd. Orlando, 32804. Please park behind the church, going around the left side of the building, and taking care to turn before I-4 entry ramp, which is next to the church’s driveway. Seating for all The Sound of Music shows is limited and advanced purchase is strongly recommended. Guaranteed seating can be purchased in advance for $15 (credit card/Paypal) or, if available, can be purchased for $18 at the door. Tickets for Industry Night are just $12! Doors open 30 minutes before show time and all seating is general admission.